Advanced oxidation processes (AOPs), uniting ozone and properly designed ultraviolet systems, in conjunction with hydrogen peroxide , may offer a powerful water treatment solutions for the reduction of undesirable organic compounds, COD and TOC. AOP processes are successfully used to decompose many hazardous chemical compounds to acceptable levels, without producing additional hazardous by-products or sludge which require further handling. Advanced oxidation processes are the most reliable means of meeting the new industry standards, reduce wastes and offer substantial cost savings. The development of AOPs is an attempt to produce the non-selective and rapid hydroxyl radical OH° to oxidize pollutants. 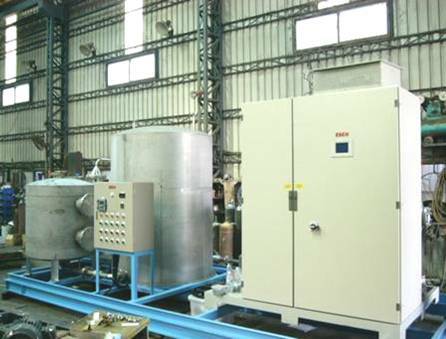 The most widely applied conventional AOP systems has been the H2O2/UV, O3/UV, H2O2/O3 and H2O2/O3/UV processes. The hydroxyl radical reacts with the dissolved contaminants, initiating a rapid cascade of oxidation reactions that ultimately fully oxidize (mineralizes) the contaminants. 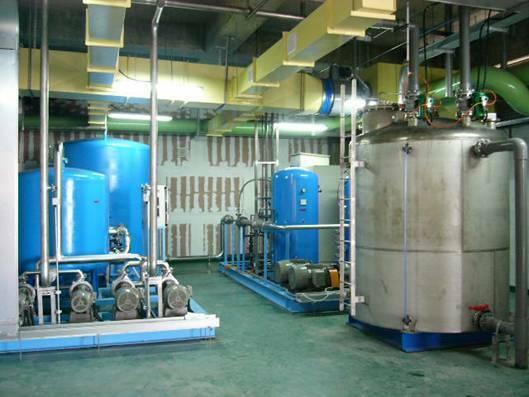 ESCO International has introduced a new commercial advanced oxidation process for the treatment of process water for semiconductor industries, pharmaceutical and biotechnology industries as well as many other manufacturing industries. 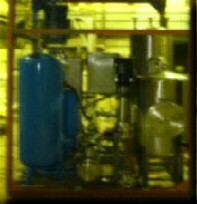 This proprietary advanced oxidation process, referred to as the CATADOX process , can efficiently reduce TOC as well as many refractory organic contaminants in feed water or process water and will consistently reduce TOC to below 1 ppm for 100% water reuse or reclaim purposes, resulting is significant cost savings. 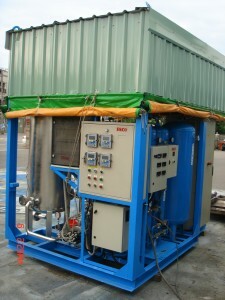 The CATADOX process was developed, designed and tested by ESCO International. The process combines treatment by ozone, UV, hydrogen peroxide and proprietary catalyst, resulting in a powerful advanced oxidation treatment system. This innovative advanced oxidation process includes new improvements and system design optimisation.The new AOP system creates a more effective oxidative TOC reduction process compared to known conventional AOP processes. The CATADOX, performs excellently in challenging applications such as non-biodegradable COD removal, TOC reduction, VOCs abatement, toxicity reduction, colour & odour removal, removes refractory organic compounds such as DMSO, TMAH, NMP, IPA (iso-propanol), THMs (Trihalomethanes) and Urea found in treated water and process water used in semiconductor applications. 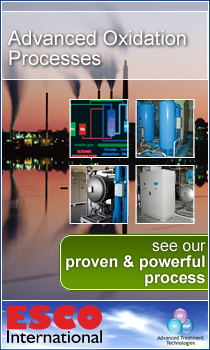 lower ozone, H2O2 and UV power requirements when compared to conventional H2O2/UV, O3/UV and O3/H2O2 AOP processes. – Efficient for a wide range of contaminants types and concentrations including IPA, TMAH, NMP, DMSO, Glycols, VOCs, PAHs, PCBs, Alcohols, Ethers, TOC & COD and others.. If you are thinking of installing an on-site advanced oxidation plant for wastewater reclaim, it is sometimes necessary to carry out pilot studies to ensure that the correct design criteria are used for the full scale plant. ESCO recommends that the pilot plant evaluation work is carried out for at least a week.